Want to follow this guide on your phone? Apple offers to secure your account beyond username and password via SMS. This method is not compatible with the Authy app. Regardless, we want you to protect all your accounts, whether you protect them with Authy or not. So here is how to protect your Apple ID account. 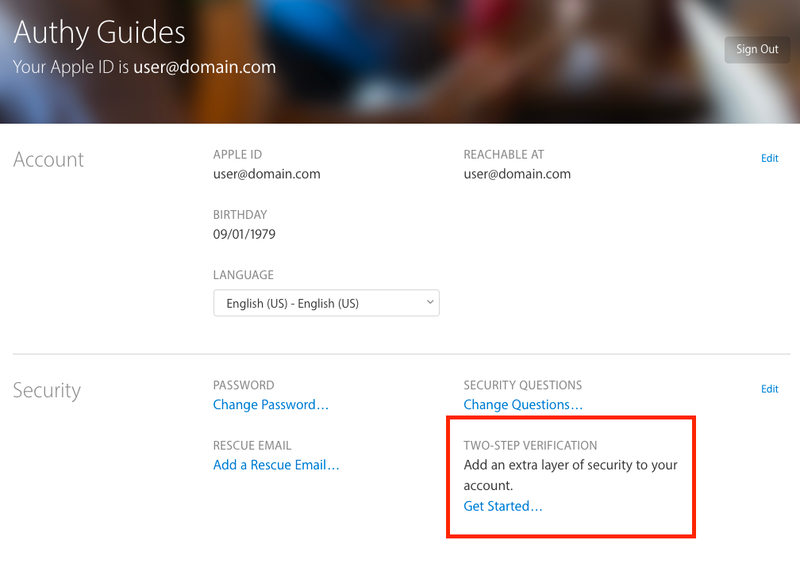 Login to your Apple ID account at https://appleid.apple.com/, then click on the “Get Started…” link in the “TWO-STEP VERIFICATION” section. Click continue past the introduction. Then choose the country code for your phone and the phone number itself, then select continue. You should get a text to your phone, which you should type into the webpage. Apple also allows you to use existing iOS devices for login verification. If you have logged into an iOS device, you might see it listed here and be able to verify it. It is important to then write down, or print, your recovery key and keep it in a safe place. And you need to confirm it. 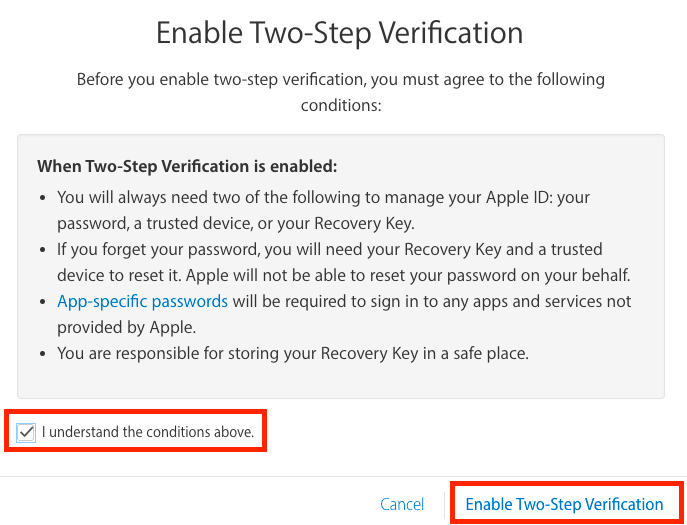 Finally confirm “I understand the conditions above.” and then click on “Enable Two-Step Verification”.